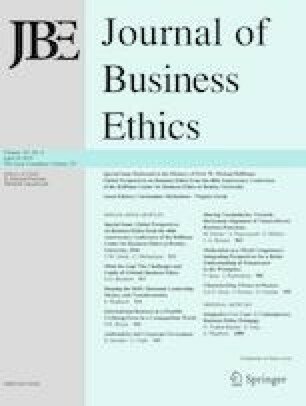 Drawing from conservation of resources theory, this study investigates the interactive effect of employees’ family-to-work conflict and Islamic work ethic on their helping behavior, theorizing that the negative relationship between family-to-work conflict and helping behavior is buffered by Islamic ethical values. Data from Pakistan reveal empirical support for this effect. Organizations whose employees suffer resource depletion at work because of family obligations can still enjoy productive helping behaviors within their ranks, to the extent that they support relevant work ethics.